Beidh sé ar mo líosta.Go raibh maith agat. 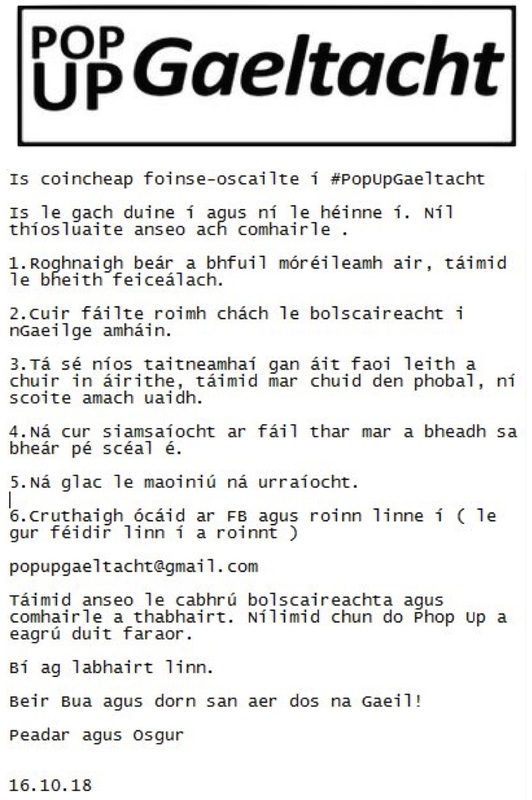 Cé a fhoilsigh agus cad tá air? Is maith go bhfuil grá agus gáire ann ach an dtuigfinn An Aifric ní b'fhearr i ndiaidh an leabhar seo a léamh nó an dtuigfinn Frank reidy ní b'ghearr? Tá an leabhair se le fáil ó Chló Iarchonnachta. Brón orm nár luaigh mé sin sa bhlag! Maith thú, as sin, a Readout! Ní leabhar taistil a bhí uaim, ach leabhar "tuairisce". Ach i ndiaidh sin is uile, thaithnigh sé liom. tá stíl taithneamhach ag an reidyeach.